Millie’s Heating & Air Conditioning provides installations for zone control systems in Great Falls, VA and the surrounding areas. If you need a heating and AC system for a new home, or you want to upgrade your current system, call the heating and cooling experts at Millie’s HVAC. In addition to installations and replacements, we also provide repair and routine maintenance for zone control systems. We also install central AC and ductless mini split systems, along with indoor air quality and other supporting equipment. 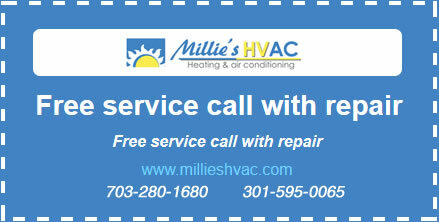 Call Millie’s Heating & Air Conditioning for all your home comfort needs! Installing a zone control system is a more efficient and sensible way to heat or cool your home. With zone control, you can heat or cool certain rooms or zones in your home that are occupied, rather than paying to maintain comfortable temperatures for your entire home at once. This can be accomplished by installing the system during the construction process, or you can also retrofit your current central HVAC system by adding dampers in the ductwork. The important part of the installation is to make sure you hire a heating and cooling contractor you trust so that it is installed correctly. Call Millie’s HVAC any time to discuss your options for a new zone control system. If you choose to install a zone control system, each zone will be controlled by its own thermostat so that you can set each zone to the desired temperature for that area. When you install a digital programmable thermostat, you have even more control over the comfort levels for individual zones. You can also receive better energy savings by setting your thermostat to turn down your heating or air condition system during the times you don’t need it. This will provide you with savings throughout the year, as well as help maintain comfortable temperatures in your home. We can also install wireless thermostats for even more flexibility in the design of your zones. While installing hard–wired thermostats will not necessarily limit your choices, you can better customize the size of each zone by having the ability to install the thermostat in exactly the right place for a particular room or area of your home. Call the HVAC experts at Millie’s Heating & Air Conditioning if you have any questions about programmable, digital, or wireless thermostats and their features. We are happy to go over all the different options available to you. If you live in the surrounding areas or in Great Falls, VA, zone control systems can be a great way to provide more overall home efficiency. Millie’s HVAC provides installation and maintenance services for zoning systems to help you save energy and maintain comfort levels throughout your entire home. Call us any time to learn more about the benefits of installing or upgrading to a zone control heating and AC system.